COAST BUS LTD: We are doing just fine! So contrary to earlier reports, Coast Bus limited is still going it strong! The management of Coast Bus limited have strongly refuted claims that appeared on this site in our earlier story that the company is faced with family wrangles. Contrary to claims made earlier, their Coast Air rally team is still participating in various competitions on the local rallying scene. The team won last Sunday’s MOMBASA MOTOCROSS CHAMPIONSHIP at Nguu Tatu, Mombasa. 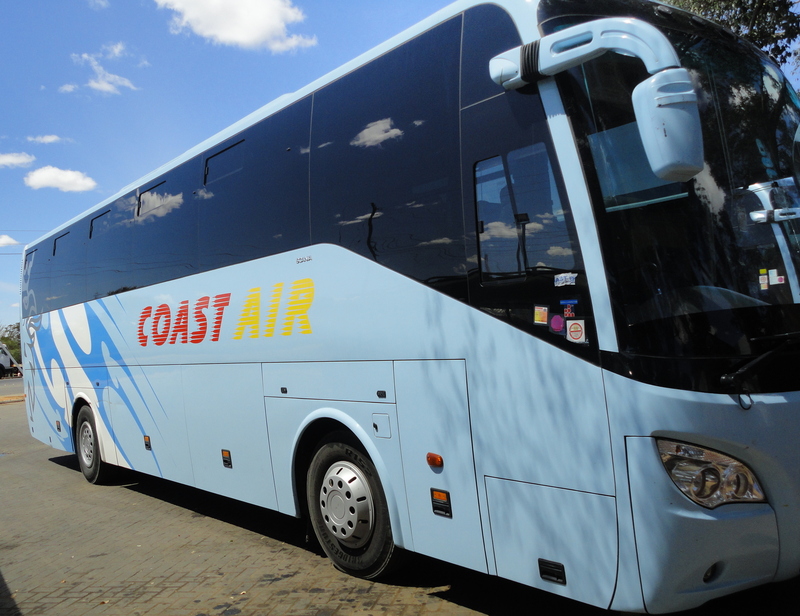 On claims that they have not bought new buses , Coast Bus management tells Mombasa 411 that they have ordered 5 state of the art buses, the first of their kind in Kenya. These are expected anytime from now. On claims that the company’s fleet has lagged behind recent new entrants, Coast Bus management tells yours truly that they still have the biggest fleet and adds that their Coast Air fleet is bigger compared to competitors like Modern. On Transline bus company having acquired buses intended for Coast Bus, we are informed that the design of the Transline Buses is nowhere close to traditional Coast Bus designs, not now, not in the future. Mombasa411.org has also been informed that there are no current family disputes amongst the family that runs Coast Bus. So there you have it, Coast Bus still leads, others follow. Previous FAMILY WARS KILLING COAST BUS LTD? can you please send me the email address to Coast Bus Ltd. Thanks. Let the informers disseminate true information. Help us to trust you. I am happy that Coast Bus is still in its form. Bravo! Stop mis-informing us. Get ur facts & investigate ur stories b4 u publish. That was 0/10 score & will never trust ur news.